The primary objective of RECPnet is to contribute to the effective and efficient development, application, adaptation, scaling up and mainstreaming of RECP concepts, methods, policies, practices and technologies in developing and transition economies. Additionally, RECPnet aims to facilitate North-South, South-South and South-North-South collaboration, including the transfer of RECP-relevant knowledge, experiences and technologies. The Members’ Assembly is the highest decision-making body of RECPnet, determining organizational aspects and the strategic direction of the network. The Members’ Assembly consists of all members of RECPnet, of which Regular and Associate Members enjoying voting rights. The Executive Committee consists of five Regional Executives, each representing one of RECPnet’s Regional Chapters. The Executive Committee guides and administers the network under the authority of the Members’ Assembly, in line with the RECPnet Charter and in conformity with the mandates and procedures of the network’s Patron Agencies. 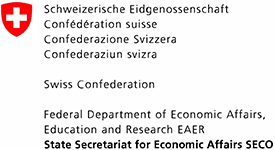 The State Secretariat for Economic Affairs (SECO) Switzerland is the primary donor of RECPnet. Other donors include the governments of Austria, Norway and Slovenia, the European Commission and select multi-donor trust funds. The RECPnet Secretariat supports the day-to-day activities of RECPnet and facilitates the work of the Members’ Assembly and the Executive Committee. At present, the Secretariat of RECPnet is hosted by UNIDO. RECPnet was formalized by its Charter and became operational in November 2010 with 41 founding members, who then adopted the Nairobi RECPnet Declaration in 2011. In the spirit of the Declaration, RECPnet has further developed, in particular through the launch of regional chapters, the introduction of a formalized web-based knowledge management system, capacity building initiatives and ongoing RECP projects. At the Glob­al RECP net­work­ing meet­ing in Luzern in Oc­tob­er 2009, par­ticipants de­cided to es­tablish RECPnet. RECPnet was for­malized by its Chart­er and be­came op­eration­al in Novemb­er 2010 with 41 found­ing mem­b­ers. The second RECP networking meeting included the first Members' Assembly of RECPnet and took place in Nairoby, Kenya, in October 2011. Members and other participants adopted the Nairobi RECPnet Declaration. At the inaugural Members’ Assembly of RECPnet held on 19 October 2011 in Nairobi, Kenya, 32 members and 10 affiliated organizations endorsed the Nairobi Declaration of the Global Network for Resource Efficient and Cleaner Production in Developing and Transition Countries. The declaration set out to mainstream and scale up the application of RECP concepts, methods, policies and techniques nationally and globally in developing and transition countries, based on national and regional socio-economic, environmental and industrial circumstances and priorities. Intensify national, regional and global cooperation and the sharing of knowledge, including best practices and techniques, in particular among members to improve delivery of such RECP services as information dissemination, professional and ongoing education, technical assistance and policy advice. Engage at the highest levels with government, business and community leaders to foster the achievement of international consensus and commitment towards RECP as core building block for a green economy and green industry for achieving green growth, including in particular to contribute to the preparatory process for Rio+20 and the climate technology mechanism under the UN Framework Convention on Climate Change, and consider their outcomes for implementation. Commit to support the wide-spread adaptation and adoption of RECP concepts, methods, policies and techniques in particular among small and medium-sized enterprises and other organizations in member countries. 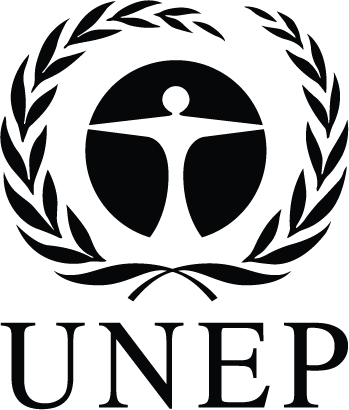 Request the joint UNIDO-UNEP RECP Programme to continue and where possible expand its support to RECPnet, including through the provision of executive secretariat, creation of a knowledge management system, support for professional and institutional capacity building and advocacy for RECPnet. Consolidate and expand the network into a worldwide catalyst for RECP. Download a brochure on RECPnet in PDF format here: RECPnet Brochure.